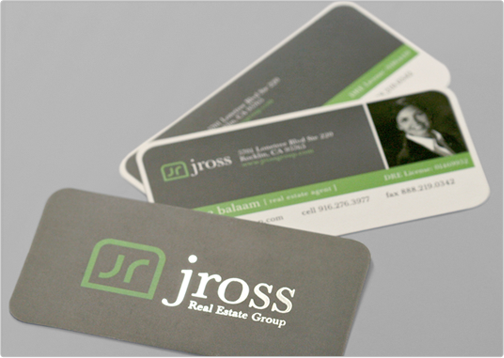 TOI Design worked on both the logo and business card for this real estate company. 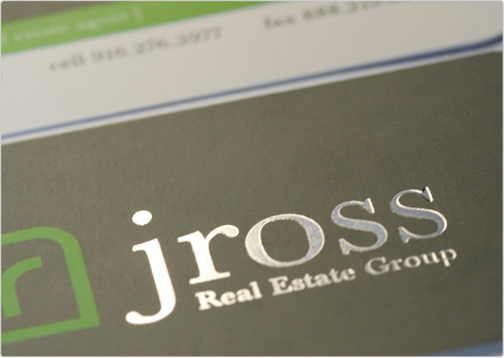 The brand for JRoss Real Estate Group is modern, professional, and classy. 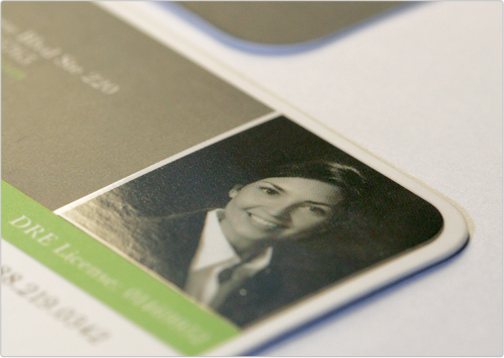 The card displayed above and to the right is cut to a slim size business card and printed on 16pt silk matte card stock. The front of the card (logo), contains a decorative silver foil stamp and the picture of the agent on the back is glossed to truly highlight the individual.